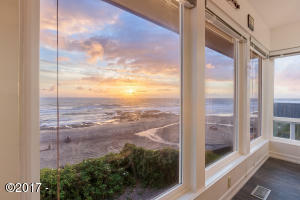 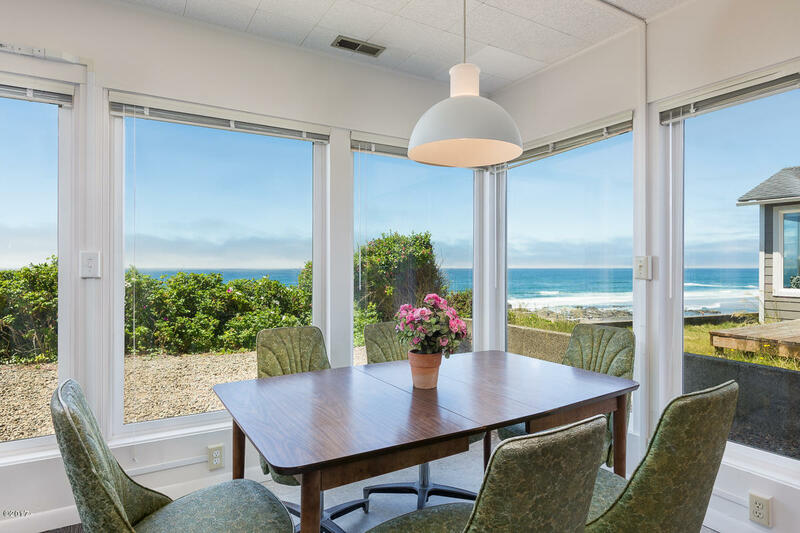 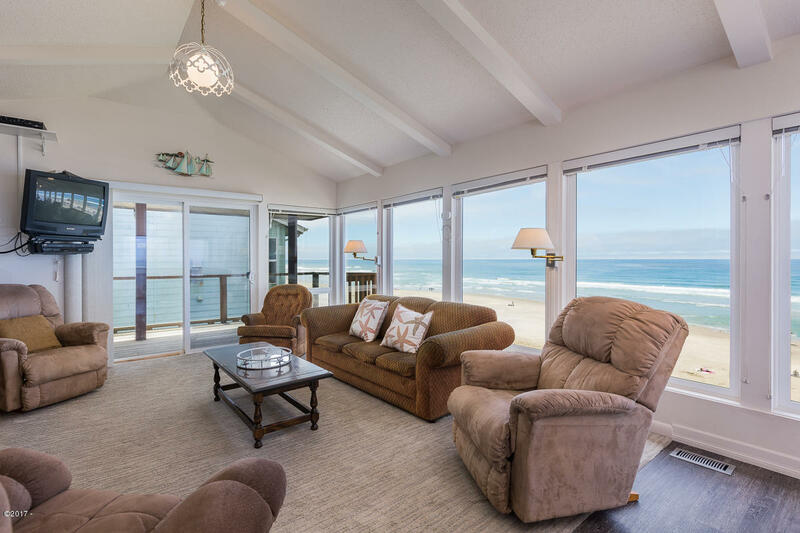 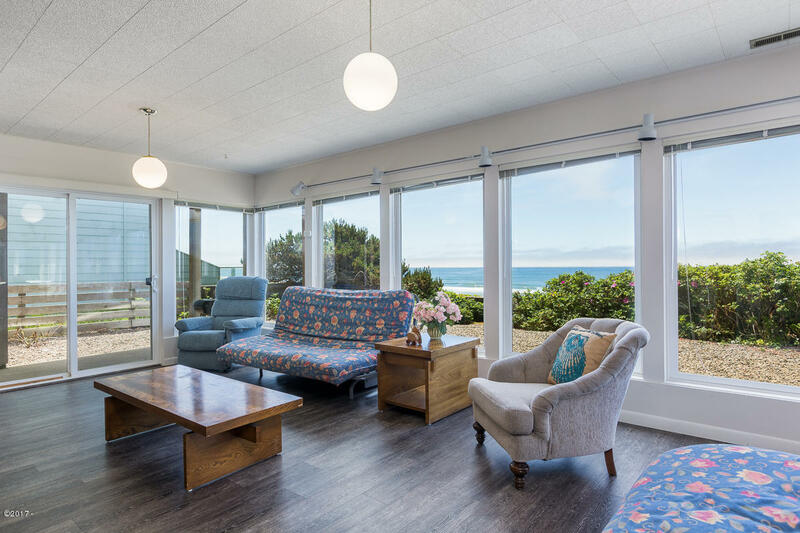 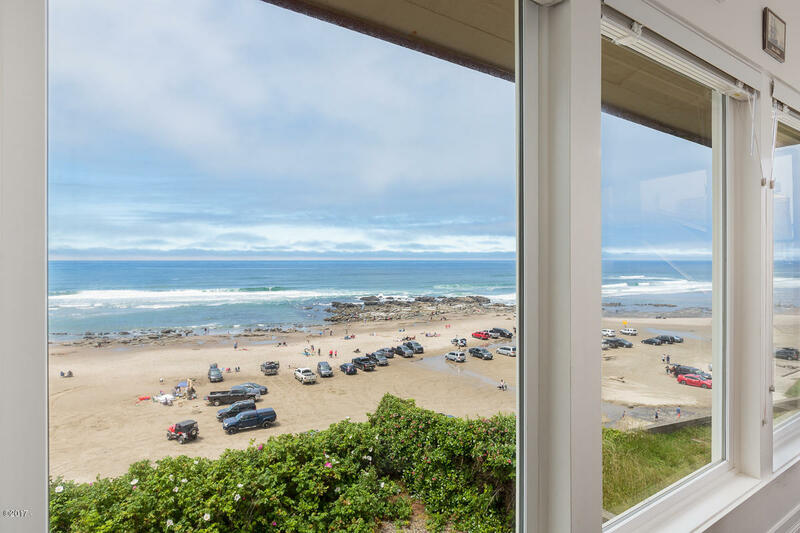 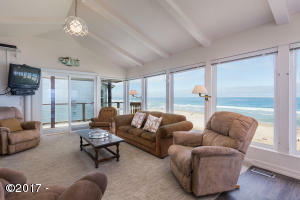 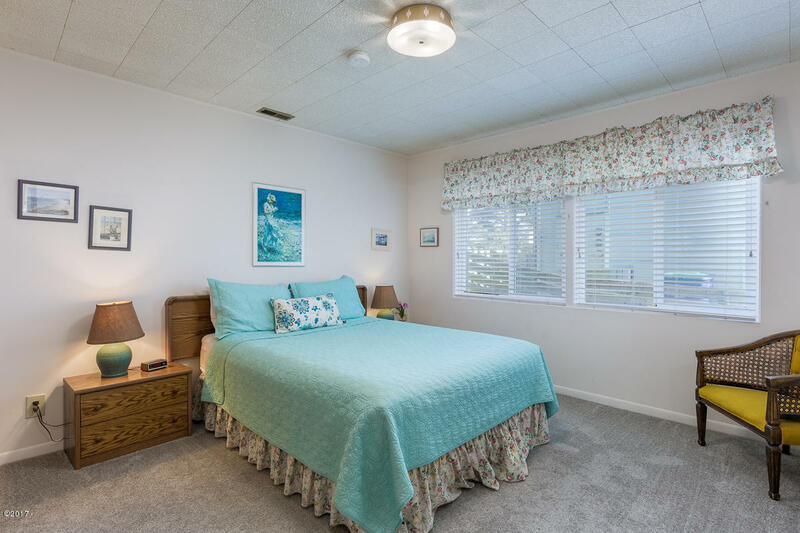 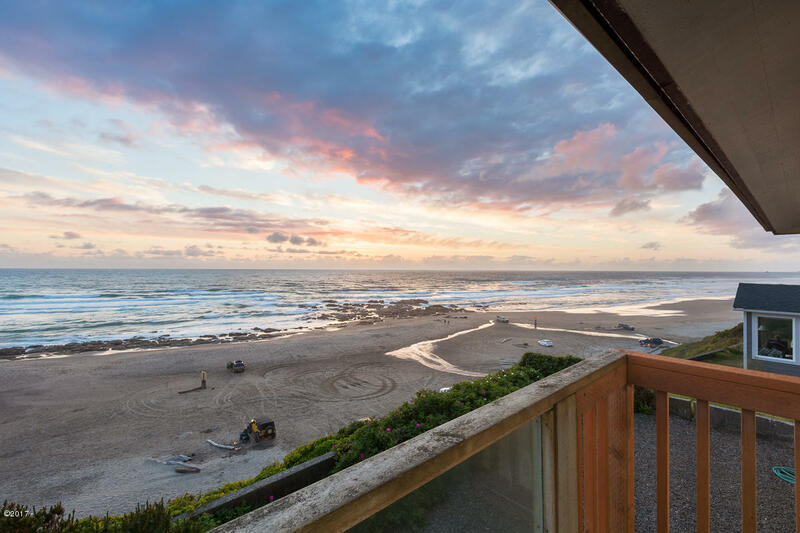 Banks of floor to ceiling height windows frame your OCEAN FRONT views where whales cruise by and mesmerizing sunsets delight! 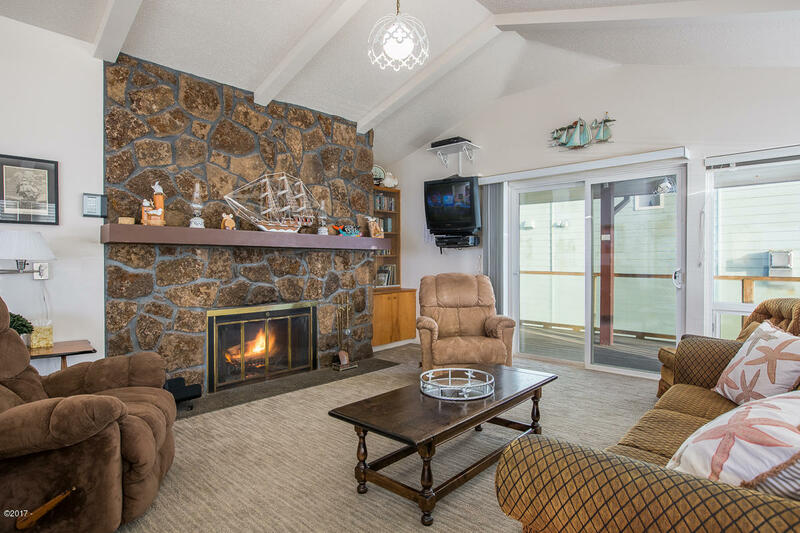 Carefree main level living with a vaulted great room, rock faced fireplace and 2 bedrooms. Just when you think it cannot get better than this – you discover the equally wonderful garden level. 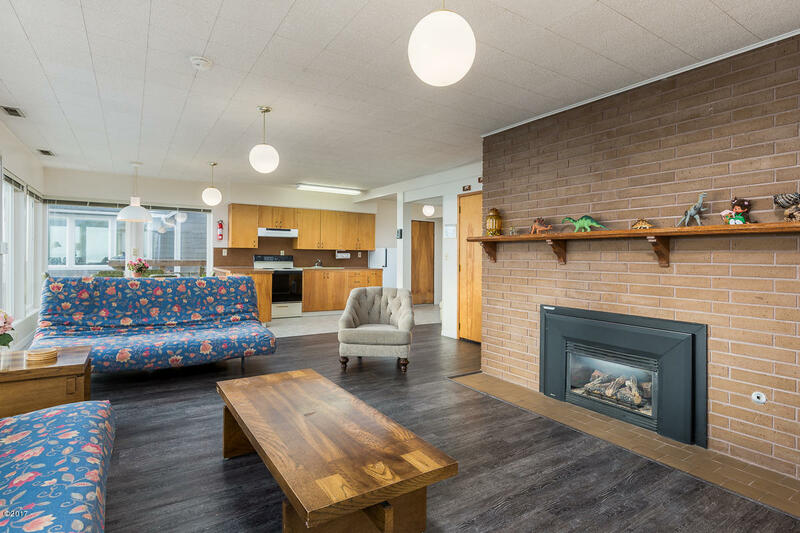 This level offers up a second great room with stunning walls of glass, brick fireplace another full kitchen, plus two more bedrooms. 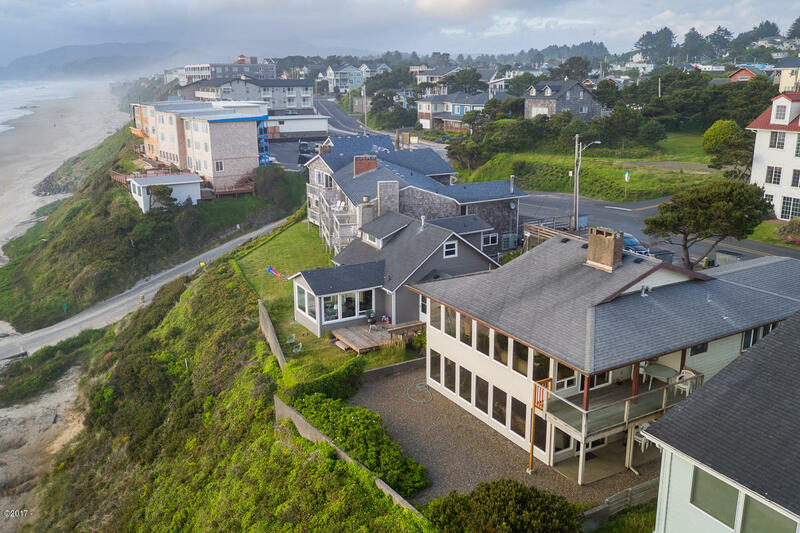 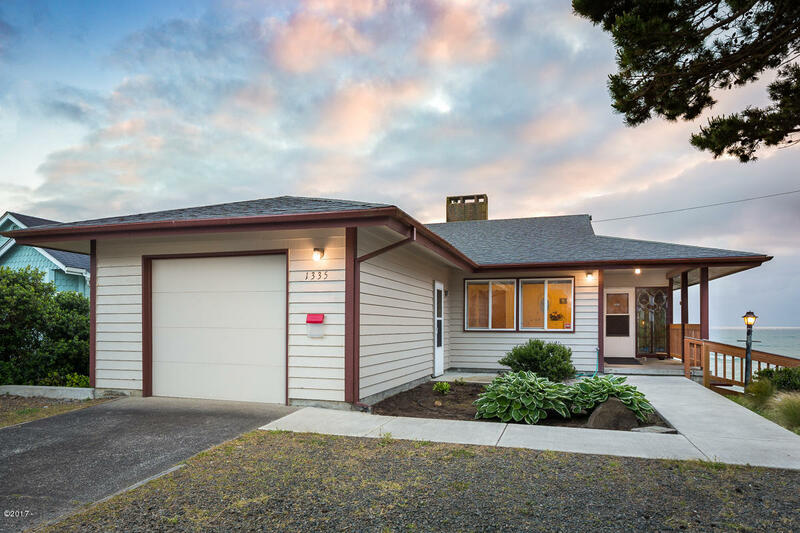 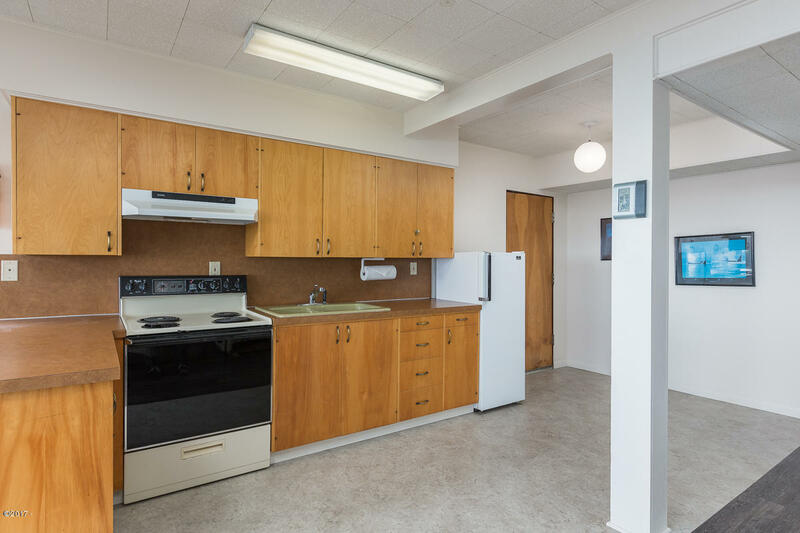 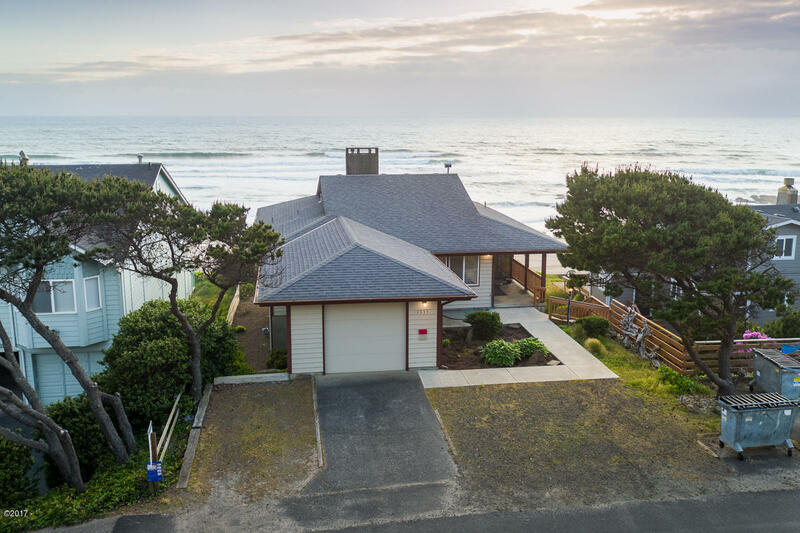 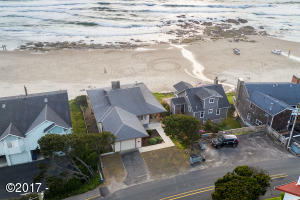 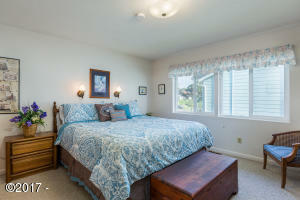 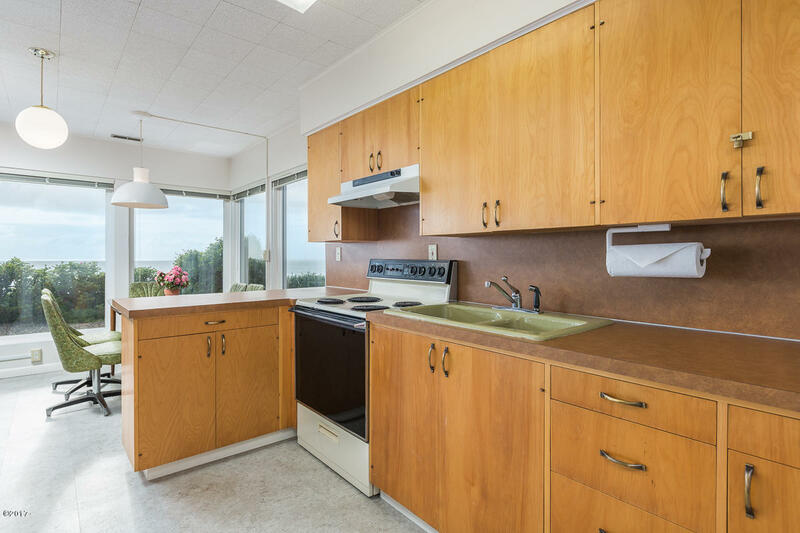 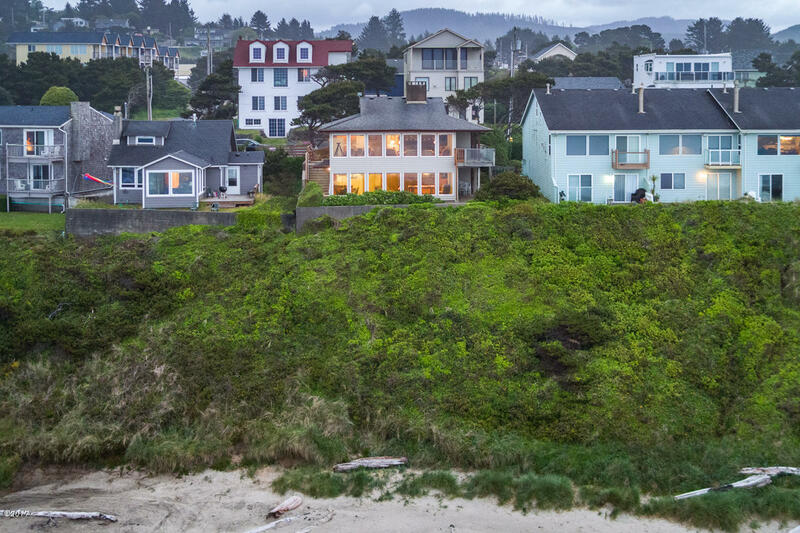 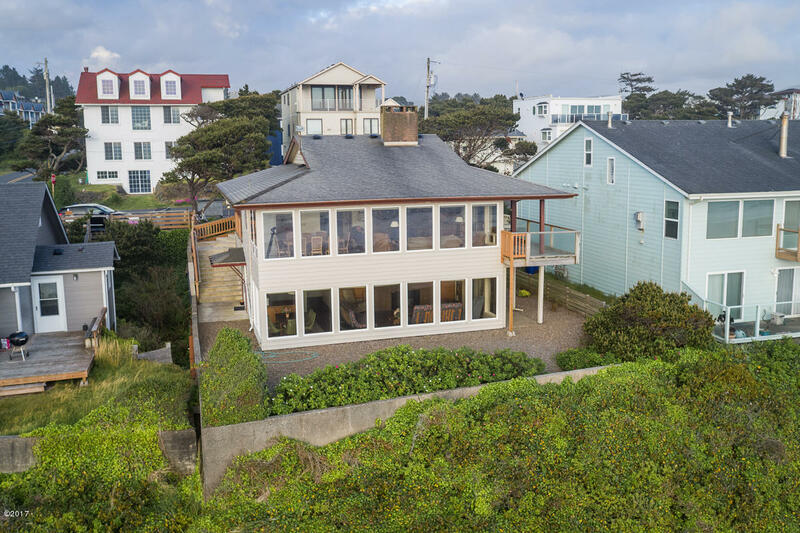 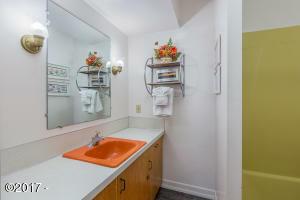 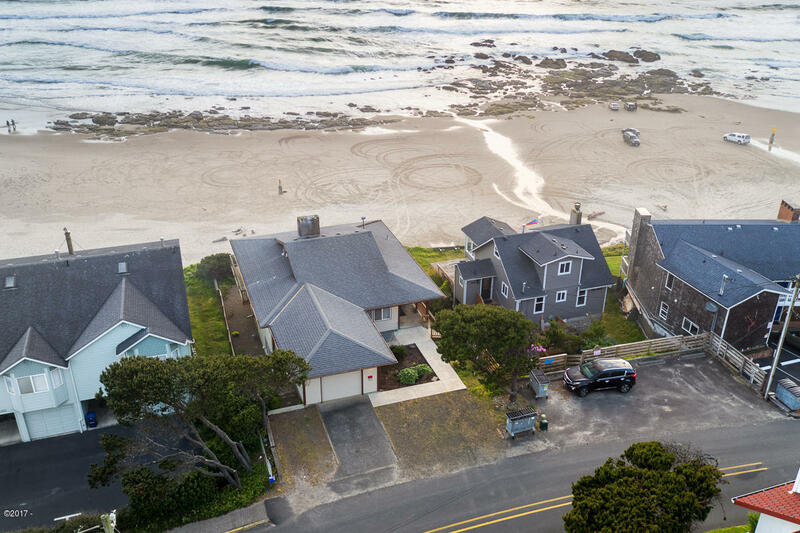 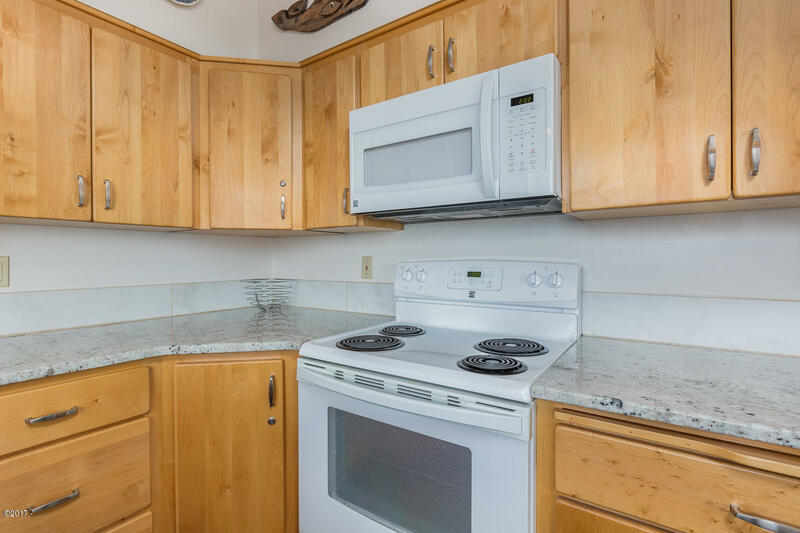 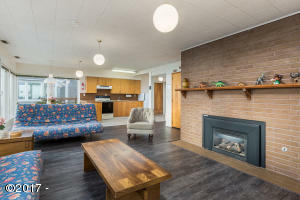 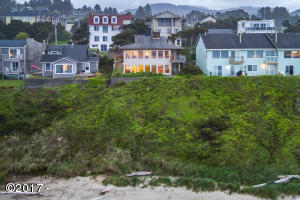 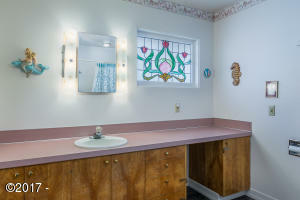 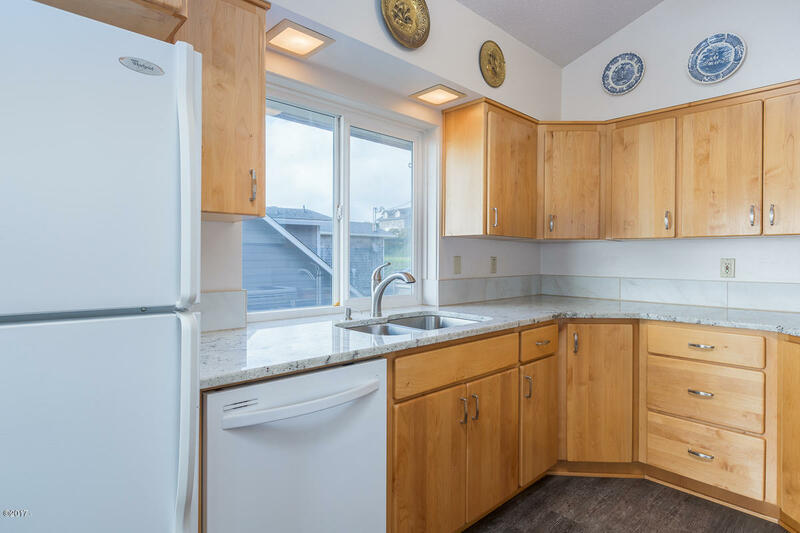 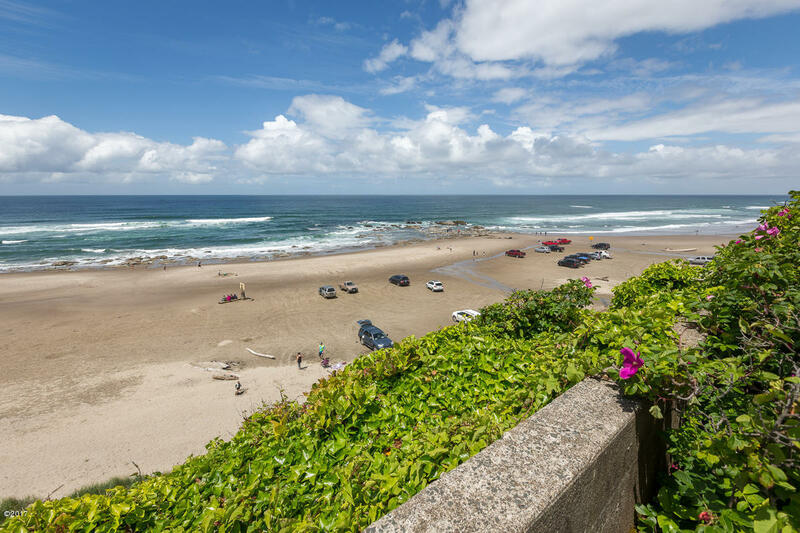 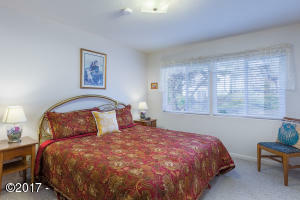 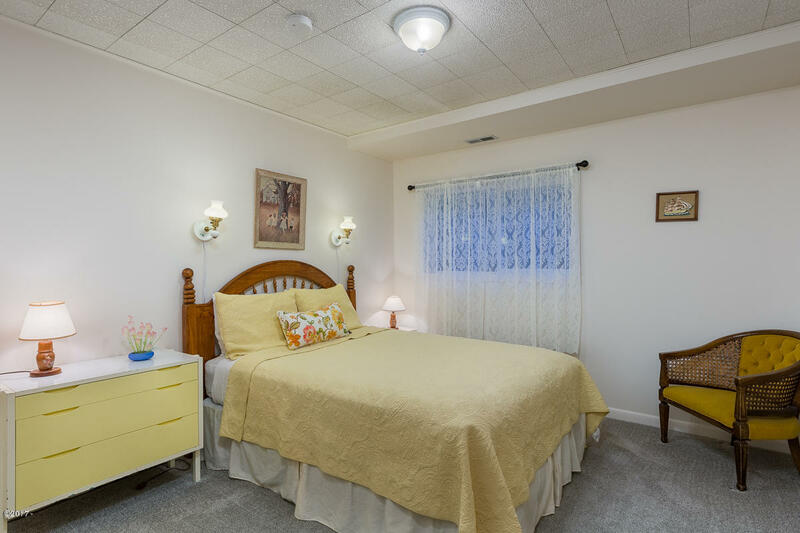 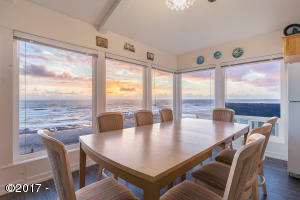 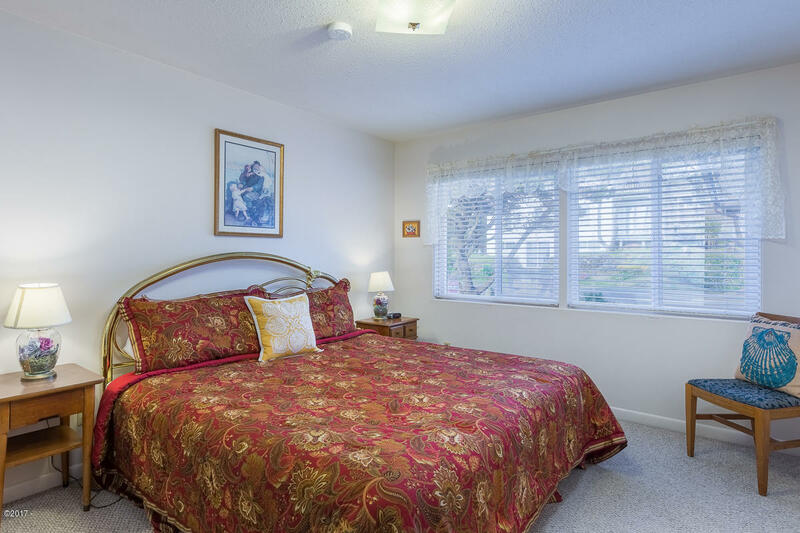 Great location on a sunny knoll and moments to all the amenities of popular Lincoln City. Casino, golf, shops, dining, theater and of course 7 miles of sandy beach. 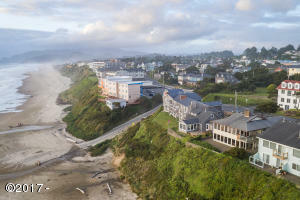 Directions N Highway 101 to NW 14th, Left on NW Harbor to address on right.